While I have not been writing. I have been in a very specific place. I’ve been diving inward again to redefine what I am doing and what I am looking for. I know one thing is for sure. What does that mean? 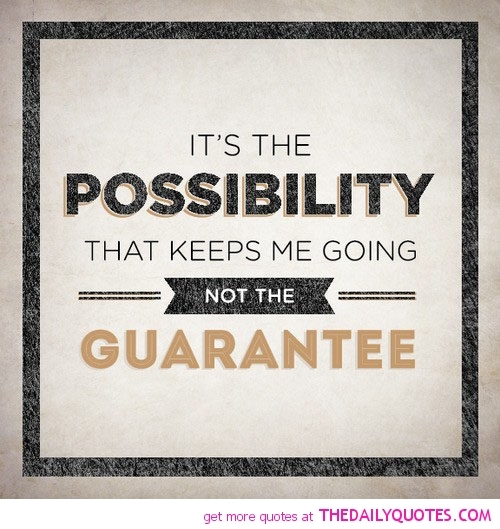 Well to me that means that I believe in possibilty. I believe that anything is possible. But here’s what happened, ladies and gentlemen: Roger Bannister came along. And he broke the 4 minute barrier. Now here’s what’s significant about that. Since that time, up to this day, over 20.000 people have done it, including high-school kids! What changed? Here’s what happened when they got on the track: they knew it had been done! And because they knew it had been done, there was a new belief about this barrier, about this goal that was “unreachable”. And those 20.000 people got in the race believing, knowing in their hart that someone had done it, that IT’S POSSIBLE, that they could do it. This is exactly what I am talking about. So by doing things that people believe to be impossible I am changing the thought to a possibility. Not by preaching it, not by putting a book together on how to do it, but by actually doing it. Leading by example. At age 44 I have just turned into a Professional Athlete. Not a common thing to hear. While of course I had support. I also had nay sayers. When is enough, enough Michelle? You keep competing and not winning. Isn’t it breaking you down. You can only get defeated so many times. Things like that were said to me on a semi frequent basis (by people who were close to me) Shocked me. Why? Because many people talk all day long how they have been defeated. Defeated in life, at work, at home, at school, and anything you can think of. Yet, they don’t stop what they are doing. They keep trudging through without making any changes. I hear it all the time. My job is so stressful. I am so behind in what I need to do. I can’t make it to anything on time. Ok so if these are your issues…what are you doing to change them? These are all changeable. Can you make your work environment better by changing your thoughts about it? Can you create a reason to want to improve your performance at work? Even if its just to feel better? It does not have to remain the same. It’s possible to make a change. Change your mind about the situation and you can create a different view on what is going on. Creating change….how do you do that? Well, it takes time digging in and figuring out what the real root of the problem is. I’ve had a variety of jobs that were not very fun and actually could be quite frustrating and defeating. Telephone sales. Yep, I use to be a telemarketer. I would get hung up on all the time. It was getting me down. So I changed my thought on it. I created my own little game. I would have a scratch pad next to me at work that had a few columns. Hang ups, yelled at, and stupid excuses. So I’d start dialing away…and every time one of those happened I would make a tick mark. The game was lets see how many hang ups I could get today. Silly right? But if gave me a different goal. So sure I was wanting to get someone I could sell to…and when I did it was great and was able to close really well. Just the many, many, many other calls were what was dragging me down. So as I was getting tons of hang ups…me being me…talking to myself in my little cubicle. Ha, got another one I’d say. Then laugh. Woohoo really getting them today. Then my coworkers would ask because they weren’t seeing put sales on the board, what was I so excited about. I explained it to them. Of course they thought I was nuts. So one day I brought in a little treat. This treat was for the person with the most hang ups at the end of the day. Well that got them interesting. So by the end of the day the atmosphere was much lighter at the office and people would shout out a number all of a sudden…I’ve got 66 already. I’ve got you beat buddy, I’ve got 78. So of course we were all wanting the sales to come through because we got bonused on that, but this made the other dreaded calls a little bit more fun to deal with. That all being said. Everything is what you make of it. 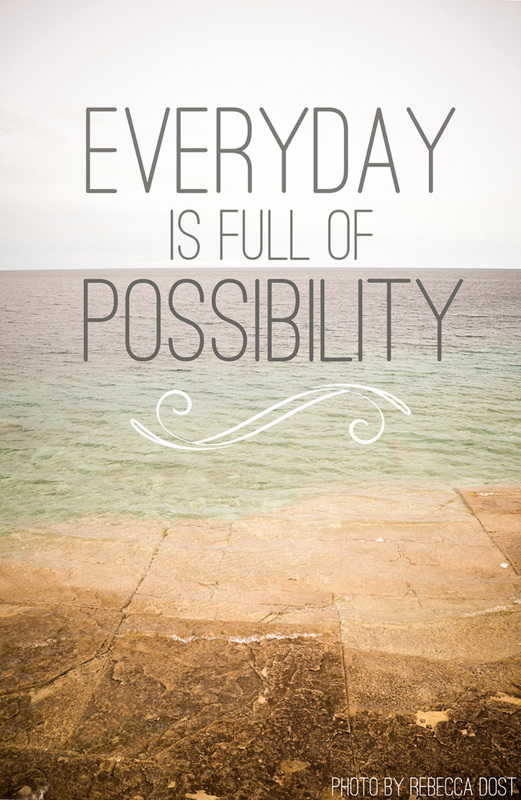 So there is a possibility that you can change whatever your situation is. Nothing is impossible. My dreams are big. I mean really big. Who knows if I’ll actually be able to accomplish them all. I do know it is possible though. I am here to guide you to the belief that what you want is possible. I will do all I can to make things happen to create awareness in others. If you think it is impossible then it is. Change your mind and your body will follow. It’s a leap of faith sometimes. It’s not easy. I struggle with this daily. It’s a fight within that we all must battle to continue moving forward. I am not interested in staying in the same place. I won my Pro card and I am honored. I want more. My dream of helping others is much bigger than this achievement. This was a step to help me gain some credibility to work toward my next tasks to create these dreams I have. I am here to help others. My purpose is solid and I know I can be there to help others reach their dreams. Day by day, minute by minute. Create the idea of possibility in your mind. Well, always knew you were meant for an exciting journey. I guess you are on it now. I hope it takes you where you want to go. It’s been fun watching you achieve your dreams. I wish I had the stamina that you have. Hope you have enjoyed your week. Getting another shot in my foot tomorrow. It’s slightly better so maybe this will finally heal it up. Seeing the doctor on Friday about all of my issues, see if I can get myself back on the road to health. been riding the stationary bike and also riding the bike in the evenings. Trying to get my legs stronger. Also really watching my diet. Well take care. Let me know what’s up. I’ll call tomorrow. Bye for now. Love mom.